I cannot even begin tell you how skeptical I have been about this project. Skeptical and intimidated. I've seen this on Pinterest plenty of times, read the posts and have thought...really? That's it? YES! this project took less than 10 minutes, including sanding, painting and transferring the image. And inexpensive I might add. I bought a roll of wax paper for $1.18! I've had a sign like this in my head for the longest time so I knew what I've wanted to make. I used Photoshop Elements to create the design, but of course any document program (Microsoft Word) will work just as well. I flipped the image to make sure when I transferred it came out correctly. 1. Glue a piece of printer paper onto wax paper using a glue stick. 2. Trim off the edges on the wax paper. I lined a metal ruler along the edge and tore the wax paper along the edge of the ruler. Easy peasy. 3. Now, print your image onto the wax paper by placing it in your paper tray of your printer, wax side down. DO NOT touch the image after it prints. It'll smudge and smear. I have a Brother printer with generic ink I bought off of Amazon. No going to Staples. No going to Kinkos. No gluing the paper on the wood and dissolving it with water. Nope, none, nada. 4. Now flip that sucker over onto your piece of wood. I have a 6x12 scrap piece of wood in my garage I've been eying for a while now wondering what to do with it. I sanded and painted it with a white acrylic paint. You may want to cut the image down so you don't end up with a crooked image. Not me. I'm a daredevil. 5. I used my handy dandy stone scraper to transfer the image onto the wood. Hold the paper in place and gently scrape the paper along the image. I literally jumped up and down with excitement! But quietly so not to wake the babies. I couldn't believe it worked! Look how fancy!! 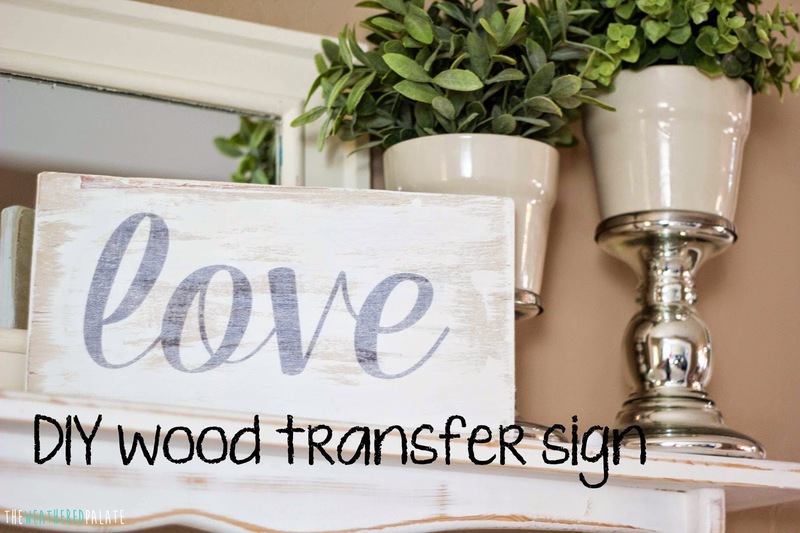 Be prepared for plenty more wood transfer projects. This is a game changer for me people!